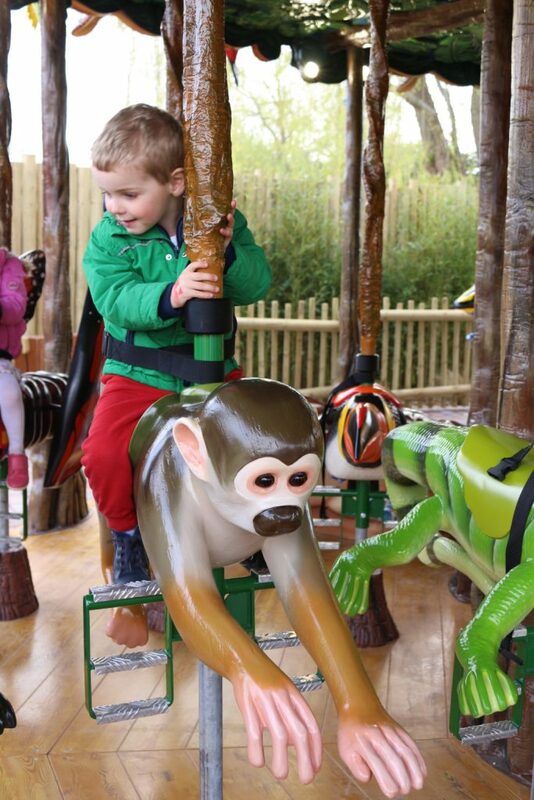 Disclaimer: We received free entry to Drusillas Park to try out the new Rainforest Carousel ride. 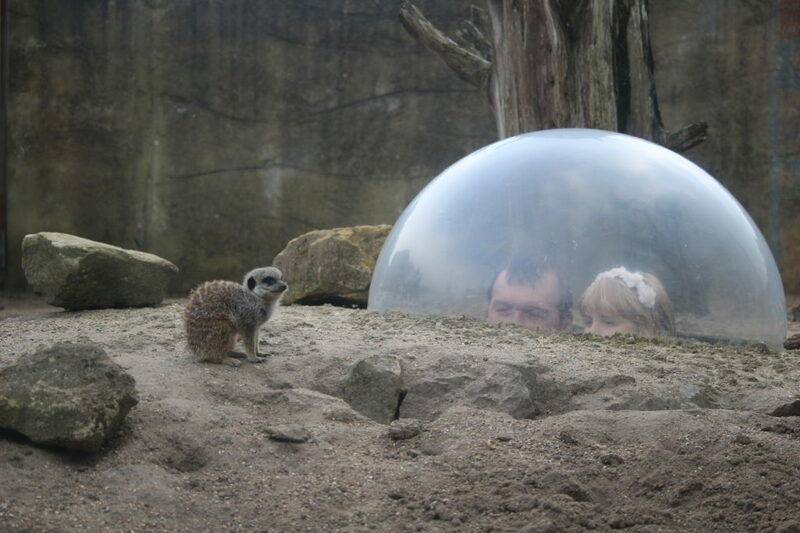 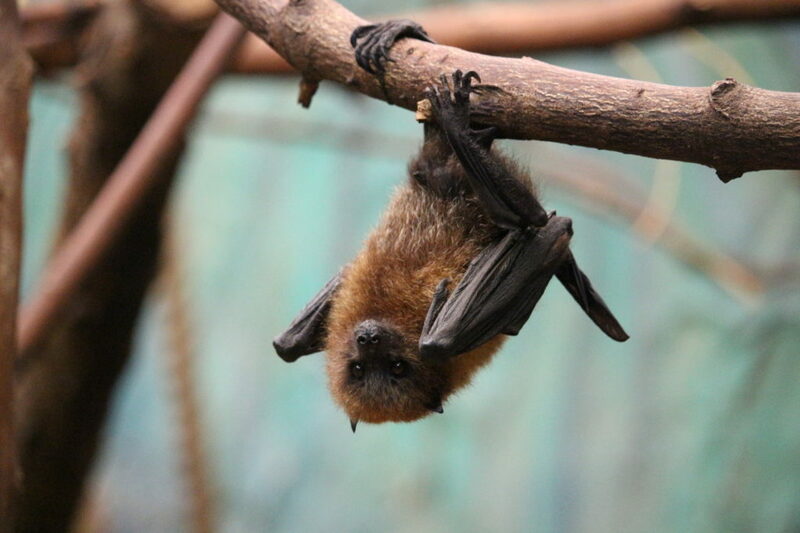 If you’re looking for a comprehensive review of everything there is to see and do at Drusillas Park and Zoo, then see my post here. 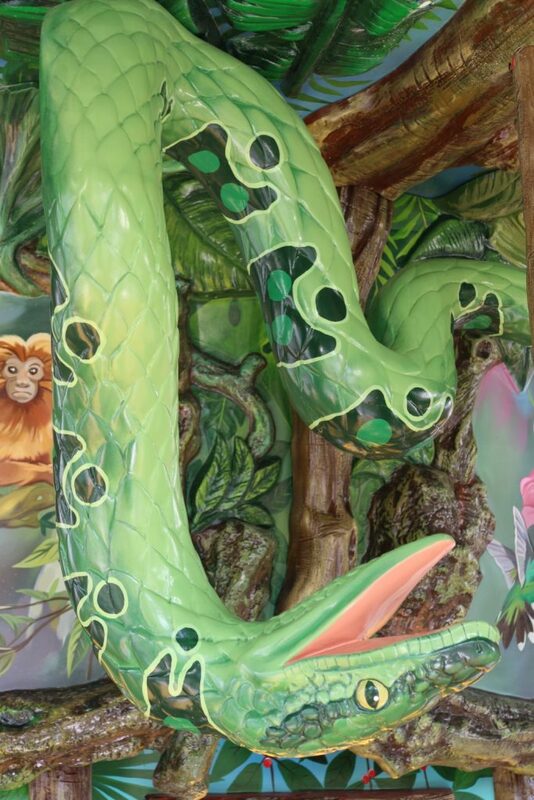 This is the second time we’ve been to Drusillas Park in the past twelve months. 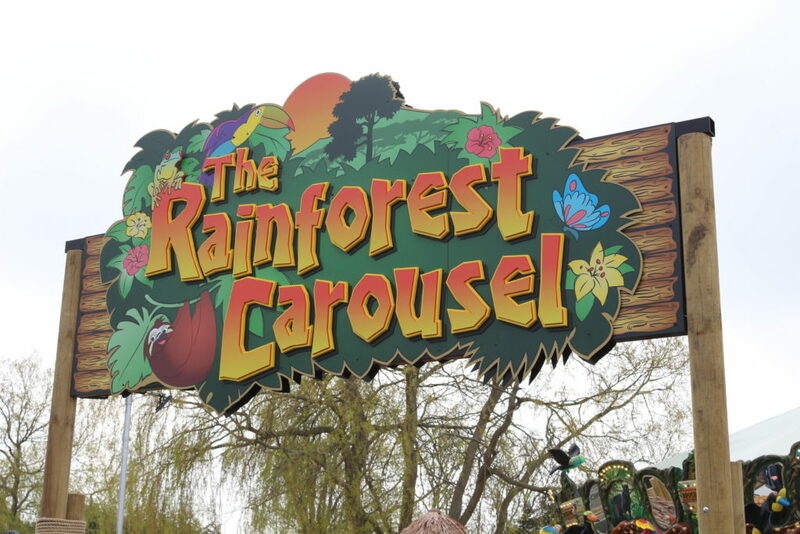 It is a fabulous, all-day family attraction and we couldn’t wait to go back again for the opening of the new Rainforest Carousel. 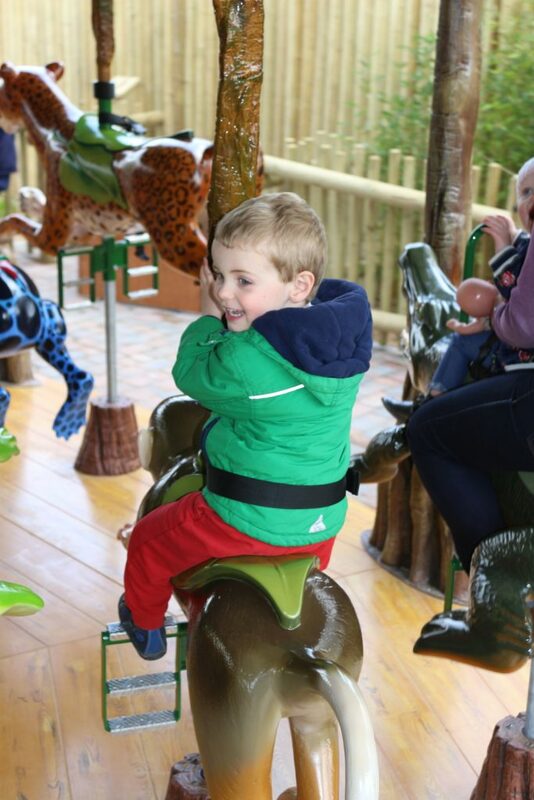 The brand new ride opened to the public at 1pm on 6th April, and we got a sneak preview. 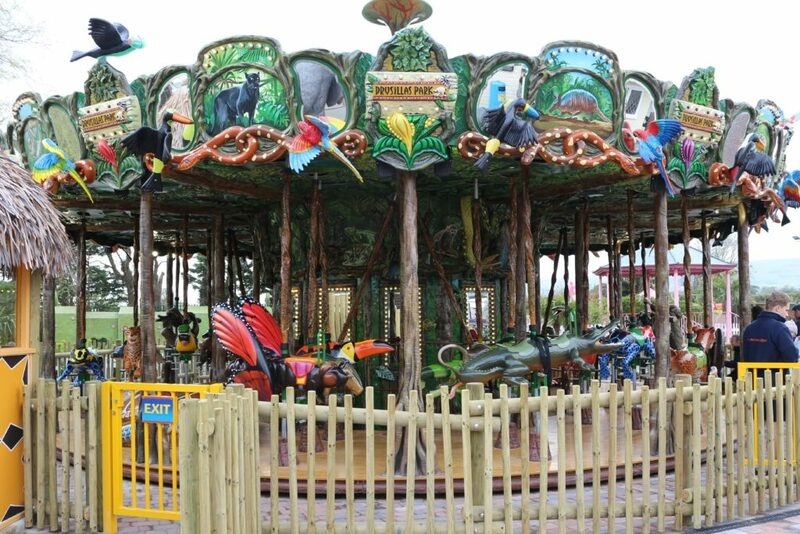 The beautiful Rainforest Carousel at Drusillas Park is a brilliant fun and colourful twist on the classic funfair carousel, instead of horses it features many of the park’s much-loved animals. 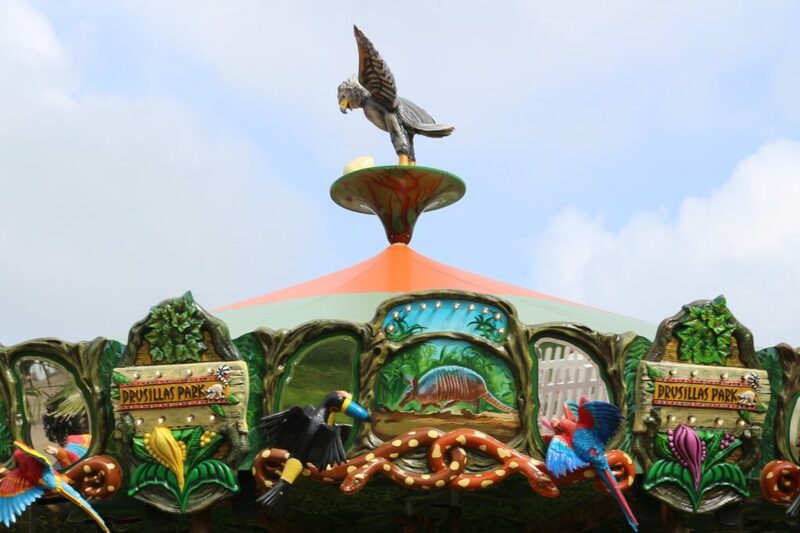 You can spot over 30 different animals on and around the carousel which is decorated inside and out with a beautiful bright and enchanting rainforest theme. 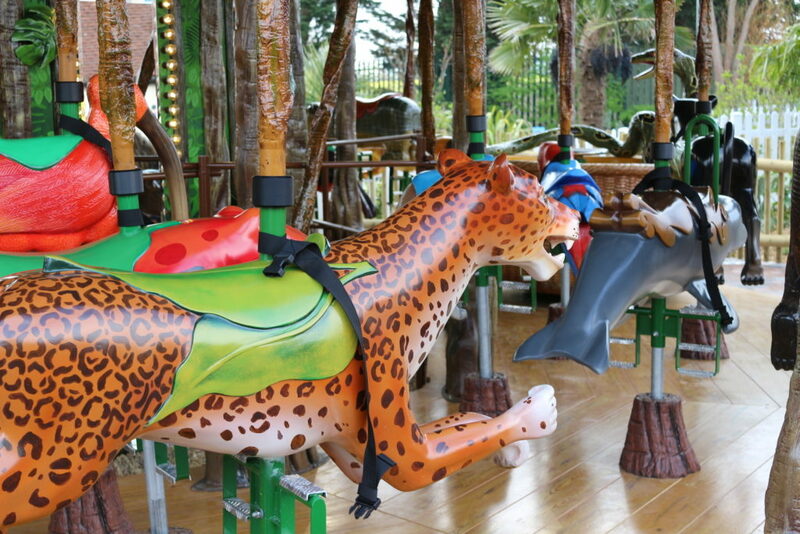 Part of the fun of course is deciding which animal you’ll ride. 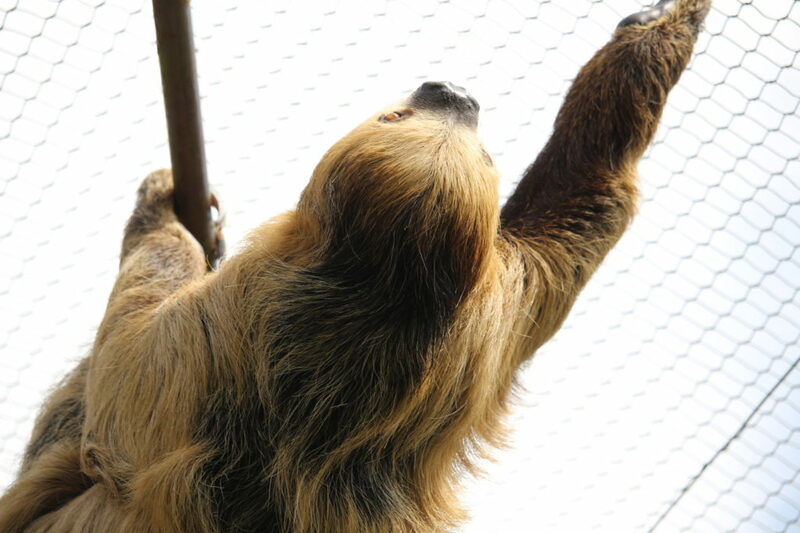 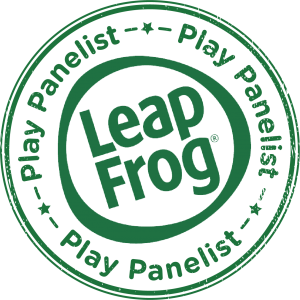 Perhaps a cheetah, a sloth or a maybe frog? 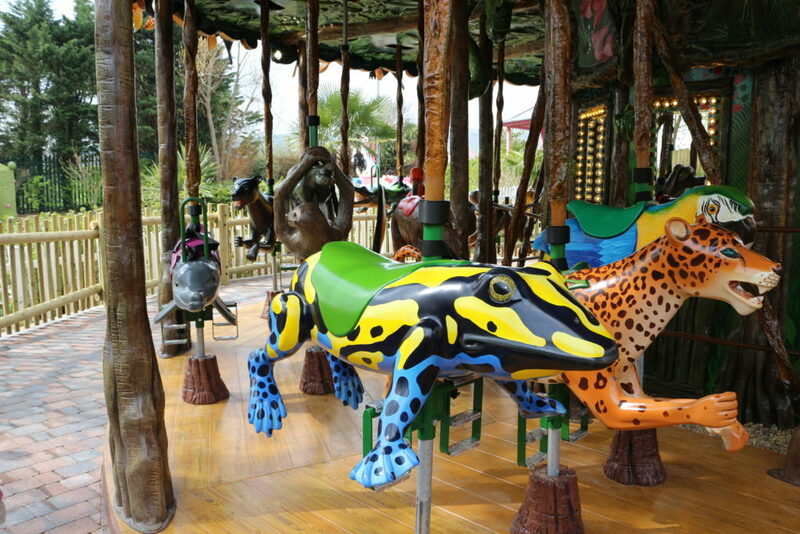 There’s even a wheelchair accessible turtle for disabled guests so that they can ride the Rainforest Carousel. 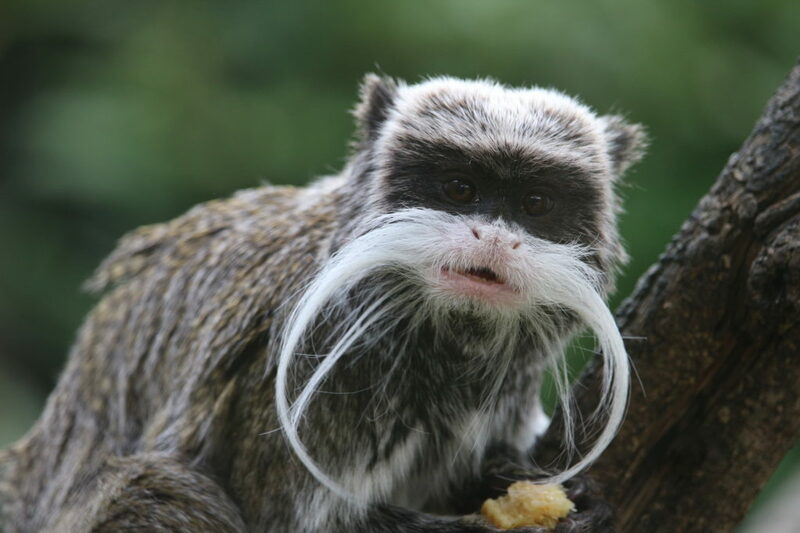 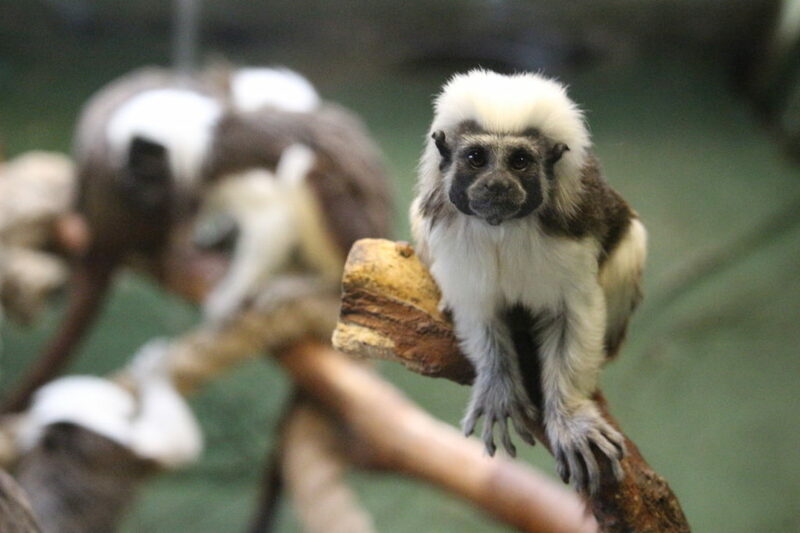 The butterfly and spider monkey were first choice; there are stirrups to help you to climb up onto your animal and lap belts for children to use although it’s not a speedy ride and you can stand by your child to supervise them if they are young. 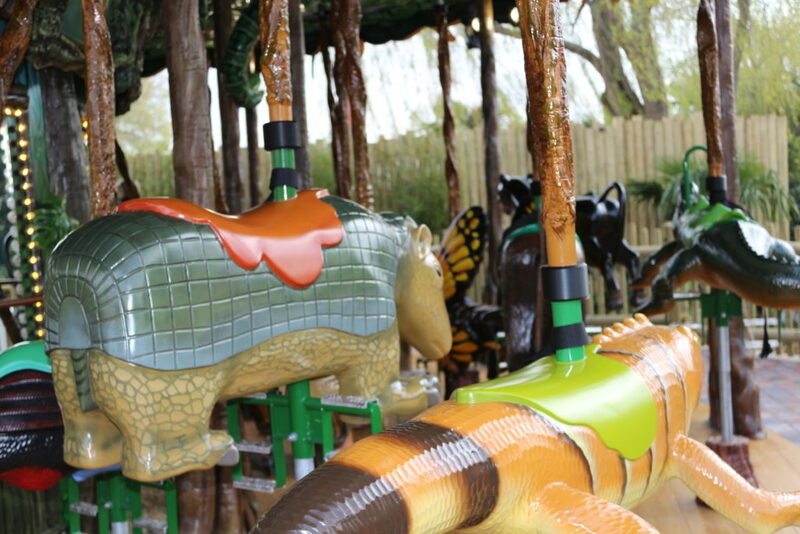 Just like a classic carousel, as it spins around the animals travel up and down. 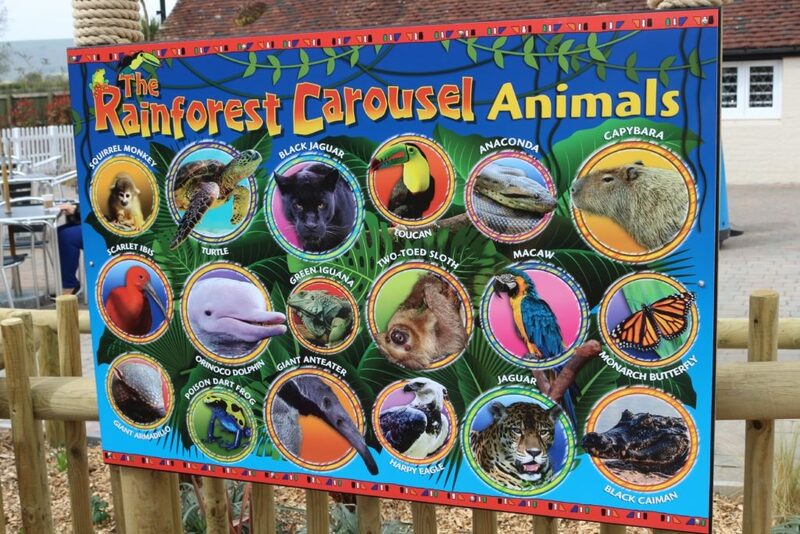 It’s a fab ride for young children who will be fascinated by the collection of animals and bright colours. 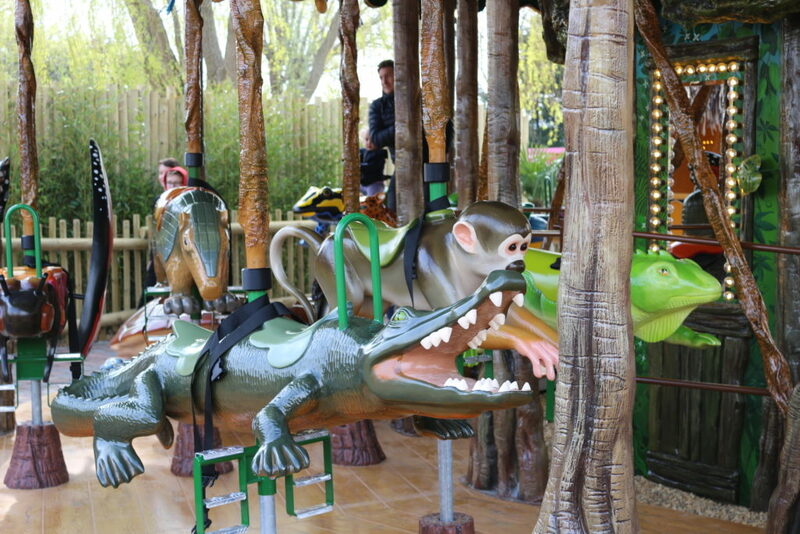 My two loved it and wanted to go on again and again, choosing different animals to ride each time. 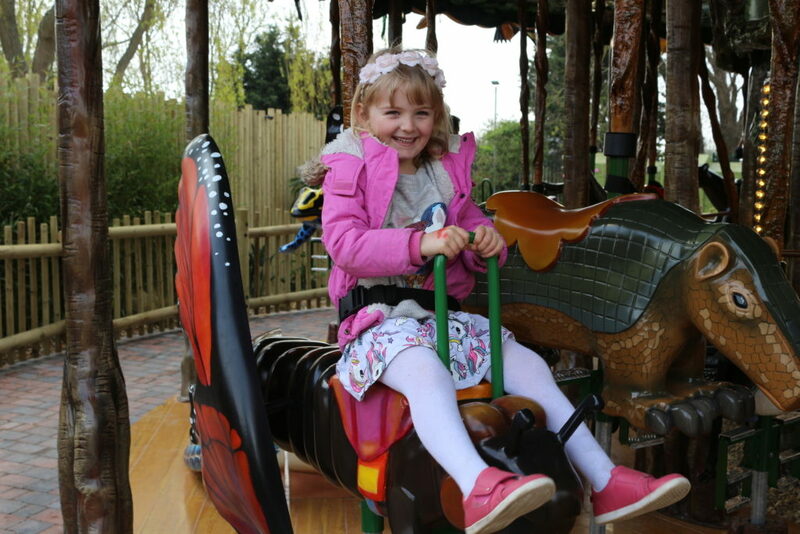 We had a really full and fun day at Drusillas Park, seeing all the animals in the zoo and farm, going on the Go Safari and Hello Kitty rides and visiting both the outdoor and indoor playgrounds. 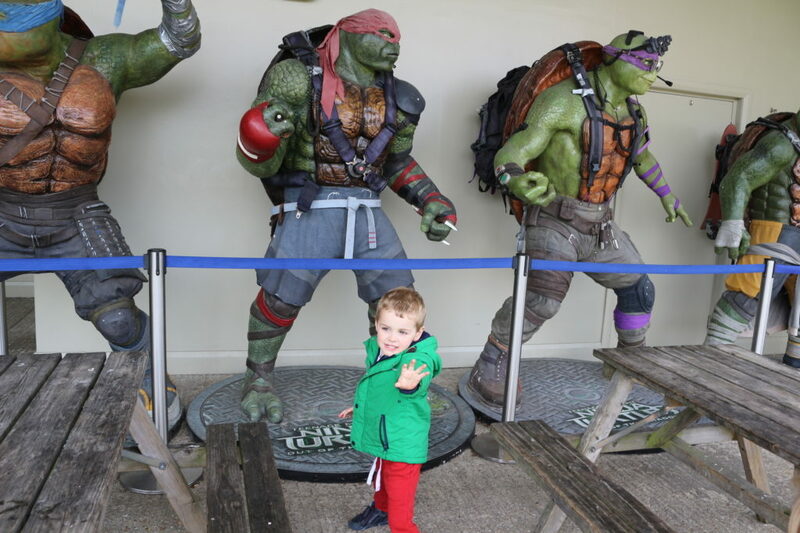 Drusillas Park is one of the best family attractions that we’ve been to and we really enjoyed our return visit. 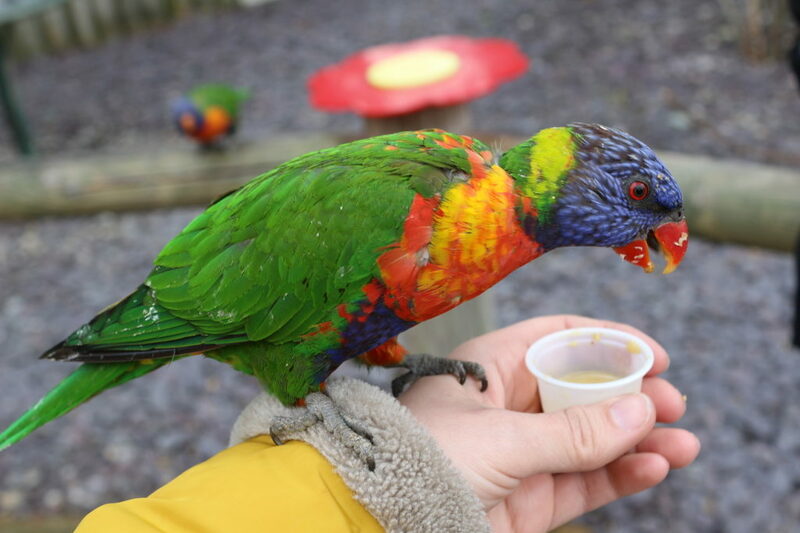 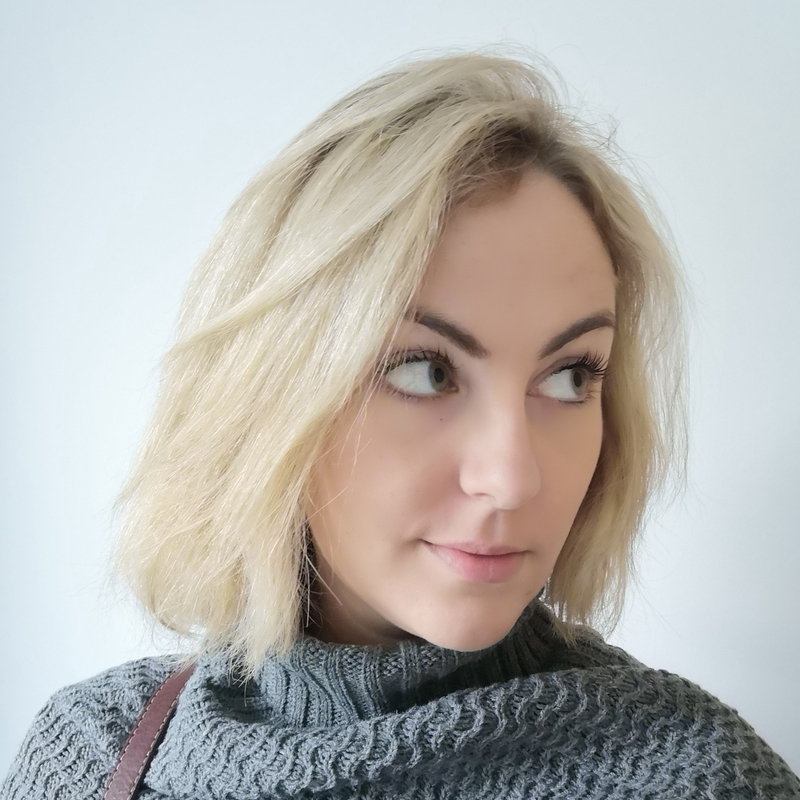 I would definitely recommend it as a special family day out or as a treat during the school holidays, even with slightly older children there is a lot to do there. 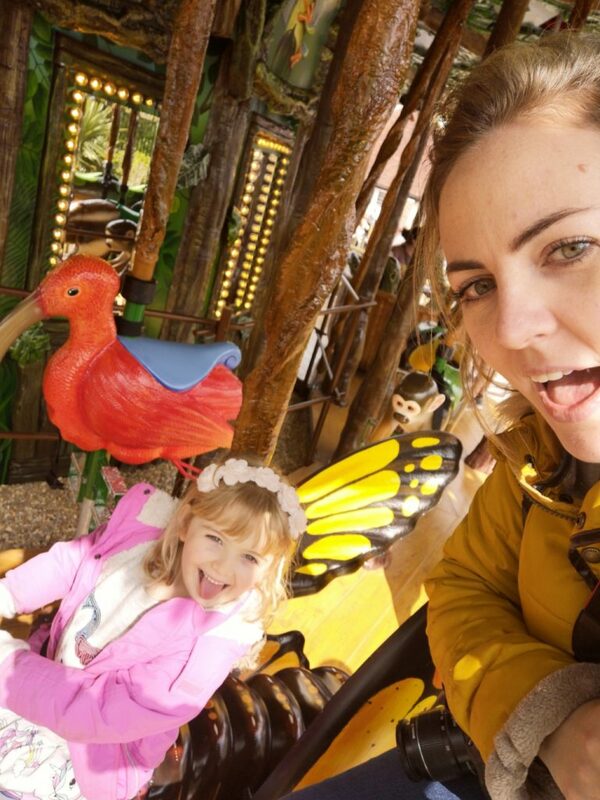 If you visit Drusillas Park as a family then I would advise that you arrive early and take a picnic with you to make the most of your day. 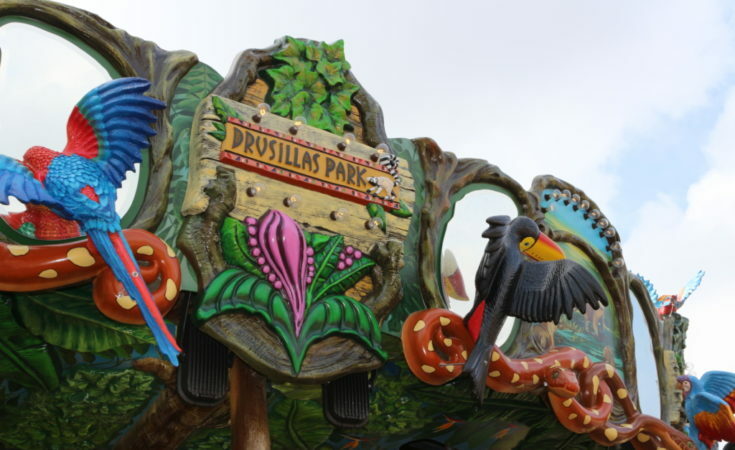 How much does it cost to go to Drusillas? 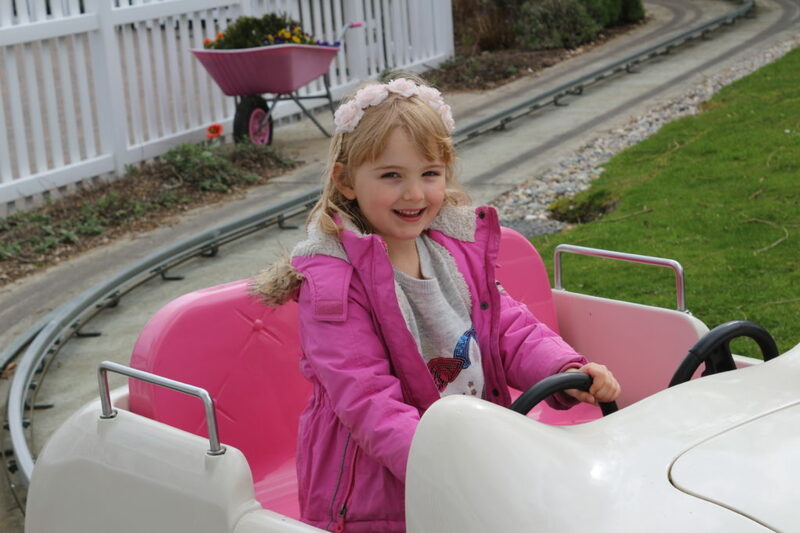 Ticket prices depend on the day visited and vary from £63.80- £86 for a family of four depending on the date (school holidays and weekends are more expensive than off peak tickets) and where bought; tickets bought online can save a few pounds compared to tickets bought on the gate, so it’s definitely worth doing that if possible. 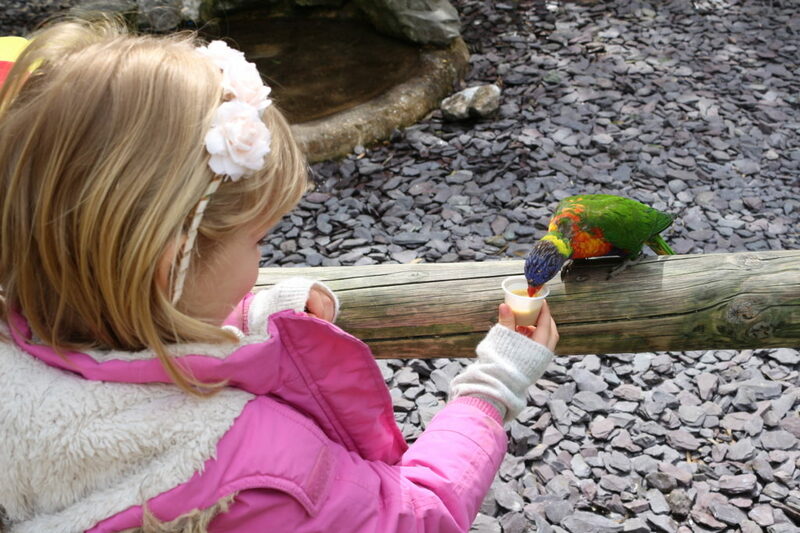 If you can save up Tesco Clubcard vouchers, then you can get a great deal with admission for a fraction of the normal cost. 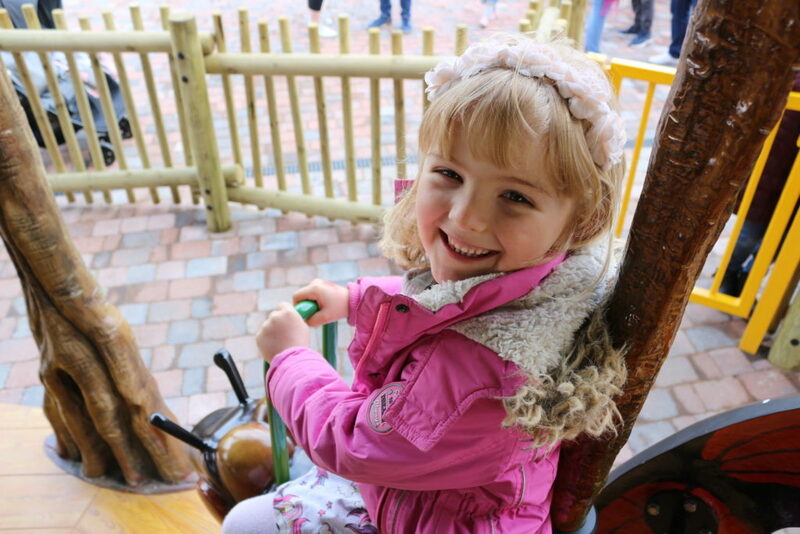 Tickets must be bought for everyone aged 2 or over. 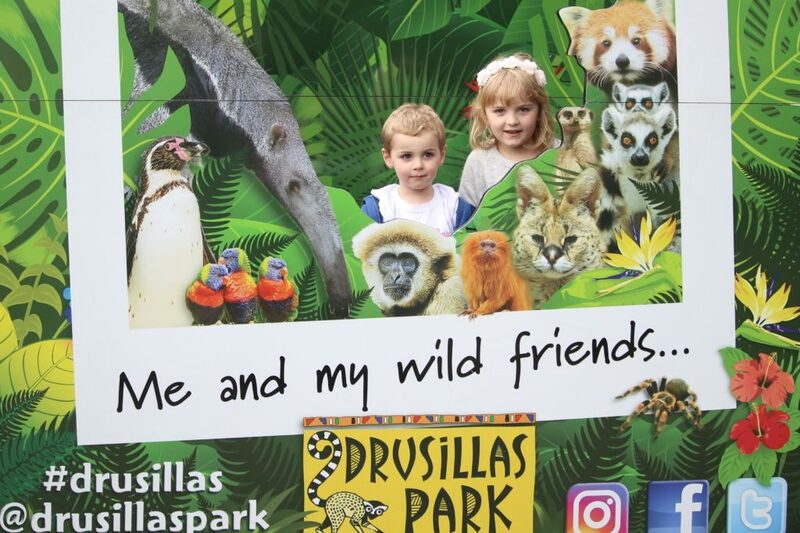 All ticket prices can be found on the Drusillas Park website here. 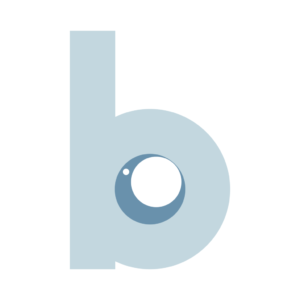 Schleich Eldrador Creatures review: New fire, ice, stone and water creatures!